ROME (CNS) — Sharing the Gospel means being a witness to love, responding to questions and patiently walking alongside people, not dictating how and when they take the next step, Pope Francis told members of the Neocatechumenal Way. Some 100,000 members from more than 130 countries gathered in a field on the edge of Rome May 5 to welcome Pope Francis and celebrate the 50th anniversary of the movement, which guides Catholics in an itinerary of exploring the meaning of their baptism and learning to live according to its promises. 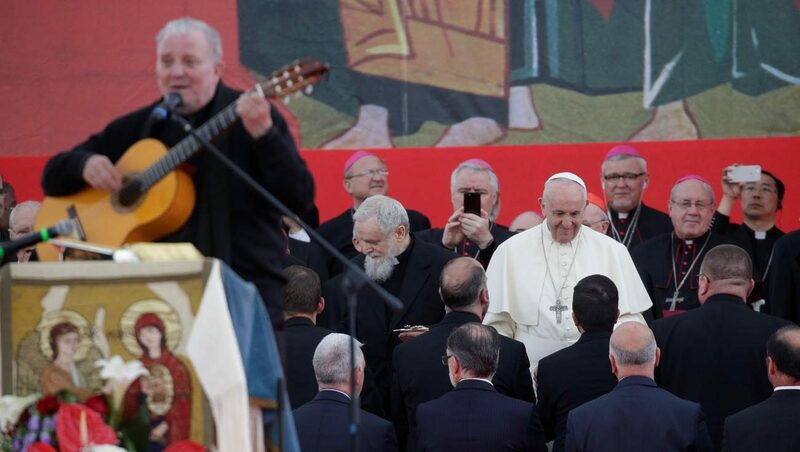 Kiko Arguello, one of the Spanish co-founders of the movement, introduced the members to the pope — calling out one by one the nations represented and introducing the bishops and cardinals who accompanied many of the groups.